[spoiler]— Do not attempt to participate with more than one username. This is grounds for permanent banning from any and all future games. — To use an ability or vote, you must PM the order directly to the GM. Those submitted in the main channel do not count. 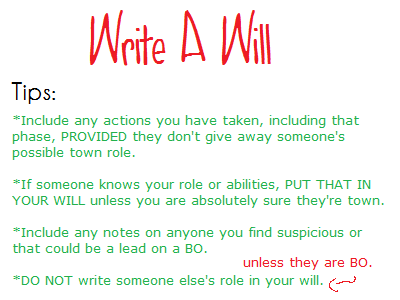 — You may provide the GM with a will to be presented at the time of your death (unless you are erased). A typical will usually summarizes a player's actions and intel they have gathered to that point, resulting in something along the lines of: "Will: I interrogated Conia and got Black Org on Night 1. I interrogated PhoenixTears on Night 2 and got Not Black Org." 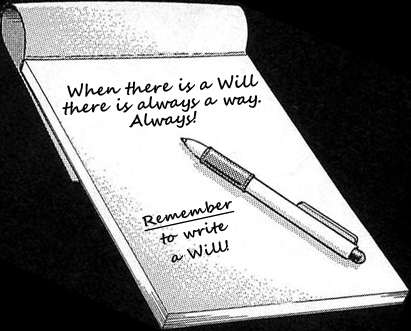 Your will, unless erased, will be provided by the GM after your death is announced (whether it be by lynching, APTX, or just a routine killing). — If Vermouth and Kid are in the same game and designate the same player for their disguise, they will both disguise as that same role and the targeted individual will receive a new role. — Detective Boys, BFFs, and Lovers must not overlap. — You may always send in a new order to replace your old one, assuming the phase has not yet ended. — The Black Organization and the Detective Boys each have a rank system for orders. — Everyone is allowed to vote during day phases, whether they be from the town or the Black Org. You may only not vote if you are dead, not in Japan (as a result of being a traveler), are arrested, or were hindered by an ability (such as Frighten). — Each player's vote is made public at the end of each day phase unless Voice of Reason was used. — If a lynch fails due to lynching a traveler or the one with the most votes being protected or Accompany saving the lynch target, votes will still be shown as usual, but there will be a note that the lynch failed. — If, after Kazuha's Accompany has been taken into account, two players receive the same number of lynch votes in a phase, and one is APTXed or arrested, the other will be lynched. — If a crime is hindered by discombobulation or other ability, it is treated as having failed and thus not happening. — List of abilities that constitute crimes: Killing (whether it be of the normal, sniping, or APTX variety), Disguising, Slandering, Bribing, Discombobulating, Abducting, Erasing, Frightening, Stealing. CHOOSING COSTUMES IS NOT A CRIME. — Using the Black Suitcase for any action is not a crime, including using it to commit a crime. Considering that action never actually took place, it is not considered having happened and thus is not a crime itself. — If someone is killed, lynched, or arrested, their action for that phase will not go through and will fail. The only exceptions to this are arrests and poisonings with APTX. However, arrests can stop APTX--lynchings, on the other hand, do not. Abroad: Player is out of the country until they return to Japan. Any actions designating them as a target will fail so long as they are abroad, and they cannot be killed without Bribe being used. Such players may speak freely, but they are not capable of voting or using their inherent abilities until they arrive in the country. If a player uses any of their actions on an abroad traveler, all actions will fail. Injured: Player is unable to use any abilities and also loses any of their passive abilities (including any disguises they may have been wearing). The exceptions are the nightly killing for Black Org members--they may still carry out a kill at night--and Revenge for Chianti and Korn, but they will lose their role-specific abilities. Injured players may still participate freely in the game, including casting lynch votes. Any actions (apart from arrest and voting) used on the phase the player gets injured will fail. Temporary Injury: Police that successfully arrest an uninjured sniper will be injured for two phases following the arrest. While temporarily injured, the police officer in question will lose all abilities apart from voting. Suspended: Police that attempt to arrest someone and are unsuccessful will be suspended for two phases following the arrest attempt. While suspended, the police officer in question will lose all abilities apart from voting. Any actions the police uses (apart from arrest and voting) on the phase where they become suspended will fail. 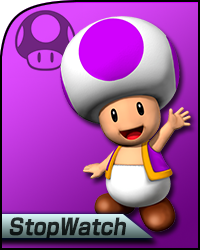 Arrested: Player may not use any abilities, though they are also impervious to being poisoned or killed (unless Bribe is in effect). Any and all actions on arrested players will fail with the exception of Lawsuit to free them. They may speak and participate freely in the game, but they will remain unable to vote. Arrested players are considered "out" of the game when determining which side has won. The role of the arrested player will not be revealed at the time of arrest unless Revenge was used successfully, in which case their identity is announced due to them resisting arrest. — The Black Org has a leader (assuming he is in the game), referred to as Anokata. — The leader has the final say on who to designate as the night kill target and may give the order as such. No one can override this order. — If the leader orders a lover to kill their lover, it will happen unless the lover doing the attack is discombobulated, or if Vodka happened to be the lover and discombobulated the leader the same phase. If the kill does go through, the murderer doing the kill suicides. — BACKGROUND: On Night 1, Abs (Gin) killed Kleene (Agasa). Now, on Night 3, Akonyl (Shiratori) feels he has sufficient evidence to attempt an arrest for Kleene's murder. Abs knows Akonyl is closing in and resolves to kill him. — BACKGROUND: On Night 1, Abs (Gin) killed Kleene (Agasa). Now, on Night 3, Akonyl (Shiratori) feels he has sufficient evidence to attempt an arrest for Kleene's murder. Abs knows Akonyl is closing in and resolves to kill him. At the same time, PhoenixTears (Eisuke) has been convinced that Akonyl may be up to no good that night and plans to discombobulate him. In addition to the arrest attempt, Akonyl has decided to investigate Jd- (Araide) healing Parkur (Camel) that night to confirm him. — RESULT: pofa successfully arrests Miaka. Miaka's APTX on pofa does not go through, and the APTX is confiscated. — Sniping bypasses all types of healing and first aid. When someone is protected, the protected will survive, but the protector himself dies instead. If someone possessing the watch is attacked, they are protected. 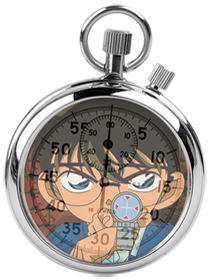 If someone possessing the watch is attacked by a sniper, they will survive but the watch will break and become unusable for the remainder of the game. — Any action performed by someone who was successfully healed via first aid will fail, because that player became injured as the action was being carried out. - Decided by Yumi during Prep Phase. - Cannot befriend Sonoko, and Detective Boys cannot be lovers. - Friends may not also be lovers. May not also befriend any Black Org members and may not befriend a Detective Boy. - At the onset of the round, the FBI Leader is given notice of how many of his subordinates (Jodie, Akai, Camel, Kir) are in the game. This count includes characters disguised as his subordinated. - If Vermouth or Kid has a disguise of an FBI subordinate, regardless of if they use the disguise during the game, it will be counted in the subordinate list and James will receive a small hint akin to, "You believe something is strange with your suborinate(s)..."
Note: Akai/Jodie/Camel/Kir being Anokata will not count toward this notification, because they would not be in disguise. Anokata will be included in the number of FBI agents in the game if he's one of those roles, but there won't be anything strange about him. James can also receive Anokata's results in this case. - After each night, James will receive a number of results from his subordinates based upon how many are left in the game. If 3+ are in the game, he will receive two results; if 0-2 are in the game, he will receive only one result. - With concern to Akai, James will receive only one of his investigations. In the case of Kir, James will receive only one of her actions (Betrayal, investigate, or Special Investigation), chosen at random. The same also applies to any subordinate utilizing the bow-tie. 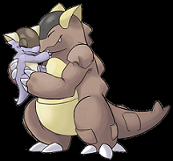 Last edited by KangarooGirl on February 26th, 2014, 4:08 am, edited 11 times in total. Note: Anokata will not be a "BO" role. Anokata can be any "town" role except DBs and Sonoko. Anokata will be able to use all the statuses and abilities of his role as if he were a town player. Sonoko will not befriend Anokata. Anokata CAN be a lover. When ID'd by DBs, Anokata can be positively ID'd as both his "town" role and as "Anokata." Note: Vermouth will be given a random disguise from a role not in the game on Night 1 (Vermouth/Kid may receive the same one). Vermouth can't arrest someone for a framed action in any way. Note: Pisco can erase the body (or not) every time he kills. He may also erase the body of another BO's kill once per "kill cycle" (the cycle restarts when every BO member has had their turn to kill). But if only two BO members remain (Pisco and another), Pisco can't erase every night, but only when he himself kills. Irish will be given 5 disguises during prep phase from which to choose 3. He may don a disguise during prep phase to be used N1. He may also choose not do don a disguise, in which case his next chance to do so is D1. 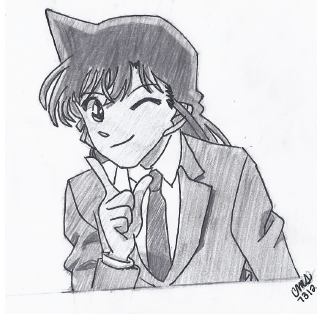 Note: Shinichi and Conan may only be present in the same game if Vermouth or Kid has a Shinichi disguise. Anokata being Shinichi or Conan doesn't count; if that's the case only his role will be in and not the other one. Note: Agasa starts on Night 1 being able to use his gadgets. From Day 1 onwards however, he must choose to pass them on to someone else. Note: It is in Kid's best interest to not reveal his true identity to just anyone. KID will be given a random disguise from a role not in the game on Night 1 (Vermouth/Kid may receive the same one). If Kid gets injured, he'll keep the attributes (interrogate, observe, items) of the disguise he was wearing when he was injured, but can't use any of its powers. Note: Begins game outside Japan. Can opt to Travel OR Interrogate during the night. During the day, can either Travel OR Vote. Last edited by KangarooGirl on February 8th, 2014, 9:26 pm, edited 2 times in total. - Prep action, crime, remains so long as it is not removed due to injury or an ability. -Choosing costumes is not a crime. Disguising, however, is. - Costume Change: If the player still has costumes left in his/her current rotation, the person changes into the next costume at the start of the night phase (It's a night action). If all the costumes in the current rotation have been used up, the player will receive a new list to choose from at the start of the night phase. The player must then wait until the following night to use those costumes. - Sonoko names a list of players he would like to befriend (GM determines the exact amount of players to list). - The Sonoko player will then randomly befriend one of those players. Sonoko and her friend will know one another's identities, unless that person is Kid, in which case Sonoko will be given the disguised role and not the actual role. - Detective Boys, Lovers, and Black Org members cannot be befriended. - If Sonoko befriends Kid, she will know it is Kid in disguise. 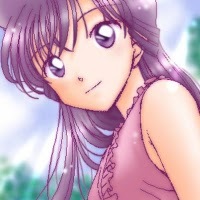 - Sonoko may use the abilities of her friends, with some exceptions. If Sonoko befriends a police officer, she will not be able to detain, arrest, or house search, or pinch. 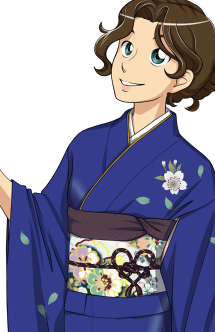 - If Sonoko befriends a role with a "one-off" ability such as lawsuit or VoR, either Sonoko or her friend may use the ability, but it can only be used once during the game. If she befriends Kujou, she and Kujou may "share" their cross-examine targets and either can use the VoA against a person either one of them has CE'd. - Sonoko can have passive abilities. If she befriends Akai, she'll have vengeance. If she befriends Kir, she'll get the same betrayal results Kir does each night. If she befriends James, she'll get the same FBI results James does each night. If one of them is discombobulated or frightened, the other can still get the benefits of the passive ability. - Sonoko reflects the status of her friend. If Sonoko befriends Kid or Yukiko, she will perform the same "disguise" action her friend is using and thus have the same abilities. (She can accumulate crimes this way.) If Sonoko's friend is injured, Sonoko will also be injured. (If Sonoko is injured first, though, her friend won't share the injury.) The exception is arrest. If Sonoko's friend is arrested/detained but otherwise healthy, Sonoko can still use that friend's abilities. - Day/night action, prep action. - At the onset of the game, the player is not in Japan. - They may choose whether they wish to travel during Prep by saying as much to the GM. If they do travel beginning in prep, they will be in the air on Night 1, thus making it so they cannot use their action during the night. If this path is chosen, they will arrive during Day 1 and be able to participate normally. 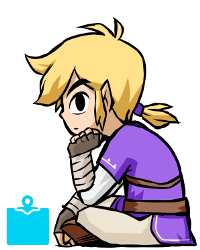 - Traveling can be hindered by abilities, and the player will not travel if so. - To travel, the player sends a travel order to the GM (whether it's during Prep, Night, or Day). - For abilities such as investigate, interrogate, kill, and the like that directly concern a player, if the player is out of the country, they will receive a "fail" for their result. - Discombobulate & Frighten DO still work if the player attempts to use Travel in a phase where it would be affected. In other words, Discombobulate & Frighten will stop Travel whether the player is in the country or out. The only exception is if the traveler is already ON the plane, in which case neither or any other ability apart from Bribe will work. 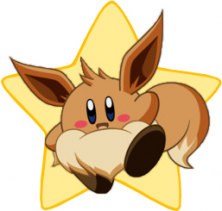 - Leaving Japan: The player may not use an ability or vote and travel in the same phase. They must either decide to travel or use their abilities--not both. Any actions used on the player one the phase they decide to travel will still go through. - Anokata, Vermouth and Irish cannot arrest people for framed actions. Neither can their lover. - Allows player to slander any player at night, whether it's himself, someone from the town, or someone from the Black Org. Gin may slander up to two targets: one Black Org, and one town. He may not slander two Black Org or two town. - If Calvados backups Investigate, he gets Gin's 3 investigations. If he backs up SI, he gets Bourbon's one SI. He can do either of these things if Gin and Bourbon aren't on the team, even if Anokata/Vermouth/Irish have investigations or SI. - If a member is killed or arrested, that doesn't count as "not on the team." So Calvados can't backup a slander if Gin was in but has been lynched already. - The eraser has the option of erasing or not erasing a body if he is the one doing the killing himself. The action is not limited to a one-time-use and may be repeated so long as the eraser is the one doing the killing. Once per kill cycle, Pisco may opt to erase a victim killed by another Black Org member. He can't, however, erase for another BO member if there are only 2 of them left. - Erase, like all other individual Black Org actions, may not be ordered by the Black Org leader. All the same, the erase victim's body will not be shown either. Instead, only Pisco will be given the will in question. - If a player attempts to protect the victim or discombobulate the killer, their action will fail as if discombobulated. - Even if the victim is a traveler and out of the country, the kill will still be a success. - Snipe will bypass healing (Heal or First Aid) and kill the target, but not the healer. - The Frightened player won't know that he got Frightened unless he voted or used actions during the day, in which case he will get a PMing stating that his actions failed. However, there will NOT be a notification the player's vote failed if Voice of Reason was used. - Protect used on that day can be frightened. If the player planned to use travel on that day, the travel will fail too. Akai's vengeance can be frightened (since his vote won't go through if he's frightened). Similarly, Revenge (Chianti/Korn) can also be frightened if Tequila wishes. - Lovey-Dovey can be frightened, but Tequila must target the lover using the action. - In order to frighten a DB Identify, Tequila must target the DB that handed in the action (if more than one handed in actions, he must target the highest-ranking DB). - All other night actions can be discombobulated. You can also discombobulate the interrogation/investigation that the player was able to do through the Bow-tie from Agasa. Protection from the tranquilizer watch can be discombobulated. You can also discombobulate the "fake investigations" that are possible through the Black Suitcase. - Travel CAN be discombobulated! - In case the Discombobulator was discombobulated, he'll get the message: "Your action failed". He will also get that message in case he wanted to discombobulate someone that isn't in Japan, or if he discombobulated the killer if Bribe is in effect. - Can choose one ally during the night. During that phase, he can use one ability of the covered ally's. - Allies are all BOs (even if that BO happens to be a BO/Town lover) and Calvados's own lover. - Calvados can't "cover" Bribe in order to get two of them. Calvados covers Gin. Gin can use slander and Investigate. But Calvados can just use either slander or investigate, not both like Gin. In case Akemi is covered, Calvados has to use steal on a different target than Akemi. If they both steal from the same target in the same night, they will receive the same item. - An already stolen item will be gone from a player's inventory and can't be stolen again. - The player who was stolen from will get a notification on the item that he lost. But he won't know who the thief was (not if it's Kid or Akemi or which player stole from him). - Everyone involved gets the info, that glasses were stolen and that 2 (or more) thiefs wanted this item. - All thieves are guilty for that crime, so all of them can be arrested for it. - He may investigate killings and attacks. If the killing was interrupted by protection, healing or first aid then the investigation will still be true and considered an attack. If the killing was discombobulated/tricked, then it did not happen and cannot be investigated. - Killing/Attack/Murder/ Healing/First Aid; Investigate/Special Investigate; Protect/Lovey-Dovey/Snipe Guard; Observe/Stake-out are considered the same actions. Actions considered the same: Kleene (Araide) heals Akonyl, Akonyl (Kobayashi) uses First Aid on pofa; Conia (Akai) and Yurikochan (Makoto) are lovers and Conia (Akai) uses Lovey-Dovey on Yurikochan (Makoto), while Yuriko protects Conia with Protect. - He'll get the result "BO" or "Not BO". Check the roles to see what result they get when they weren't slandered. "BO" will be "Not BO"
"Not BO" will be "BO"
- Can Special Investigate things that are happening the night of the Special Investigate. - Things that can be investigated from prep phase: Amor, Disguise, Choose Costume, Friendship and Travel. - The player can choose to cross-exame one player, to find out whether they have committed any crimes so far (includes prep phase). - Can't cross-examine for a specific player and won't learn which crimes have been committed. - BS actions don't count as crimes. - Cross-examine leaves a notice. The CE'd player will receive a PM saying "You were called into court to testify and found guilty/not guilty of crimes." The player won't know whether it was Eri or Kujou who CE'd them. - The policeman learns of all actions performed to a player that night. So, "Akonyl stakes out Kleene" may result in a PM of "Kleene was healed and discombobulated", for example. - If the target DID commit a crime, the target is Auto-Arrested on the same phase. - If the sniper was injured, there will be a message that someone was injured. The sniper can't use snipe anymore, but can still kill normally. Also, they can still use Revenge as the only exception when someone gets injured. - If successfully healed, the healer will know that he successfully healed. The target and the attacker will be notified that the target was healed, but not by whom. - May use First Aid on himself/herself. 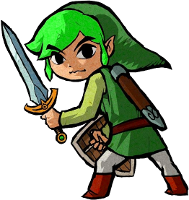 - The player who received First Aid will not die if attacked, but will instead become injured. - The action that was done by the one who was attacked will fail, because he got injured. - If sniped, the target will still die and won't be saved. The First Aid user won't die. - If succesfully healed/First aided, the healer will know that he succesfully first-aided the target. The target and the attacker will know that someone healed/First aided the target, but not who. 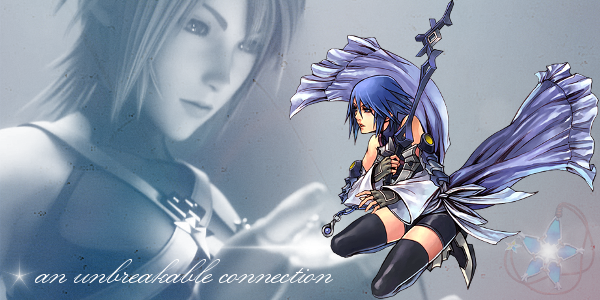 - Gin will Abduct one character that is not played in the game by any player. The GM will send him the name of one random town-sided character not in the game. 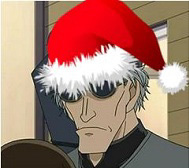 - Gin may abduct Vermouth/KID's disguises because they are not considered "in the game". - Kir doesn't need to PM the GM to use this action, but it can be discombobulated. Killing/Sniping: DOESN'T get to know which BO killed, but sniping may be specified instead of just "killing." Investigate: "Gin investigated someone." OR "Bourbon investigated someone." Steal: "Akemi stole from someone." Observe: "Chianti observed someone." OR "Korn observed someone." Stake-out: "Korn staked someone out." OR "Chianti staked someone out." - Successful APTX: The target was that role (success).The BO will keep the ATPX. The actions and the votes of the victim don't count and the target dies. Arrest can't be stopped though. - Arresting the BO member who does the poisoning WILL hinder the poisoning. In this case, the APTX is lost. - If healer or first aid user gets the Watch, he can also only use the watch to defend himself. - May accompany anyone during the day and the accompanied will learn that someone accompanied/followed them. Can't accompany him/herself. - When Kujou votes during a lynching, she may use Voice of Accusation. Voice of Accusation makes Kujou's vote count as an extra vote. - Voice of Accusation may only be used when Kujou is voting to lynch somebody she has Cross-Examined previously. - Once Kujou has lynched somebody using Voice of Accusation was a deciding factor in having the person lynched, she may not use it again. However, she may repeatedly use it if she votes in landslide votes in which it makes no difference. - If Voice of Accusation causes a player to be lynched, there will be a notice that one vote was increased by 1, much like the Accompany notice. - Tequila can frighten a DB Identify if he frightens the one handing in the action. So if Ayumi, Mitsuhiko, and Genta are all in the game and all hand in an action, and Tequila frightens Ayumi, all three actions will fail and an ID won't be achieved. But if Tequila frightens Genta, Ayumi can still get her results. - APTX and Revenge/Vengeance are the same way. If Ayumi is APTX'd/injured/vengeance'd and handed in an action, no DB will get a result. 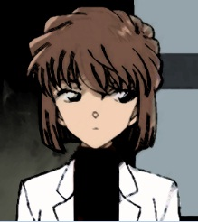 But if Mitsuhiko is APTX'd/injured/vengeance'd and Ayumi handed in an action, she'll get her results. - Basically, it's to the DBs' advantage for everyone to hand in an action unless they suspect the highest-ranked is going to be interfered with by the BO, in which case it might be to their advantage to make another plan. - The police officer can't use any action (arrest, investigate, house search, stake-out etc.) for the next 2 phases if he accuses someone falsely and won't get results on the current phase, because he'll get suspended. But he can use the bow-tie actions in case he get's the bow-tie. - The BO can't arrest someone for a blamed action in any way. But a town player that is a lover with a BO can arrest someone for a blamed action. - When they become arrested, the officer(s) arresting them will become "Temporarily Injured" (2 phases, same as a suspension). This injury will be made public. - If APTXed at day, he won't injure the poisoner. - May also choose one individual to Protect at night. If said individual is about to be killed by the BO, he again Protects the individual. The protected also learns if he was Protected. Neither the Protected individual, nor the Protector will not learn the identity of the attacker. If sniped, the target survives, but the protector dies in their place. If Ran or Makoto successfully protects someone, they'll get temporarily injured for 2 phases and can't protect anybody for that time. But they can still talk freely and vote. An Injured protector MAY NOT be healed and lose her Injured status this way. Last edited by KangarooGirl on February 11th, 2014, 6:41 pm, edited 6 times in total. Also for those who were concerned, I have already spoken to Gio and Kamite and they have given me permission to go in front of them since they're not ready to GM just yet. Sign-ups are now open although I may still change a few rules around. Last edited by KangarooGirl on February 26th, 2014, 4:06 am, edited 24 times in total. Things are fantastic. How about for you? Wait I just realized, who am I talking to???? Yay! A Hayley round with rare wild encounter Kirby appearance no less! It might sorta depend on dates, but I'll definitely join. Put me in for now, though I'm not completely certain of my availability right now. Hmm... I dunno if I should... I might be kinda occupied next week (with my grandma leaving and all ). Yeah, sure. Put the rice rabbit in. @Stop: I didn't put arrest on Yamato mainly because there are already a fair few police with arrest to choose from. If the game gets to be really big, I'll change that and maybe a few more things to allow more variety of cops but given the last few games' size, I will leave it as is for now.